At it’s core, Nightstir wants to solve the logistical problems of nightlife planning between close friends and new acquaintances. This platform offers a unique way to express your nightlife intentions and plans. The app tells you when and where your friends are “pregaming,” “going out,” or “nightcapping” (going to a party after bar close) -- all in real-time. If a user doesn’t want to be bothered because they’re staying in for the night, they can indicate that using the app, too. The startup aims to give students a taste of the time when social platforms like pre-public Facebook and AIM were primarily used to exchange plans and availability for the night (without being judged by the prying eyes of parents, coworkers, and prospective employers) -- as opposed to the more political, media-centric Facebook of today. Back in July 2013, Startup Milwaukee featured Johnson as Startup Milwaukeean of the Week. He and his team graduated from Vetransfer’s inaugural business accelerator program with a $20,000 seed investment. This time around, they’re currently bootstrapping while they continue to grow their user base in Milwaukee and Chicago. There are significant changes to the core team behind the venture, which is still lead by CEO Johnson. You can follow Nightstir at @nightstirapp. Launch Milwaukee will promote the rapid creation and development of hardware and software startup ideas in Milwaukee. Held June 5th through 7th at Ward4, participants are given the opportunity to pitch an idea and ask for help building their idea during a 60-second window on opening night. Teams organically form around shared interests and the building process begins. Participants do not need to have an idea to pitch, and can come individually or with a team. Register at LaunchMilwaukee.com using discount code: STARTUPMKE for a 30% discount. WERCbench Labs announced they looking for teams of engineers, scientists, and programmers to participate in their summer program for technology innovators. WERCbench provides entrepreneurs access to unique production capabilities, including high performance computing, rapid prototyping facilities and small scale production and testing equipment in addition to a $20,000 grant, learn more about WERCbench here. Subscription wine delivery service BrightCellars has announced they are moving from Boston to Milwaukee with the help of Ward4 and startup accelerator program gener8tor, read more here. RentCollegePads.com is hiring a Business Development Manager in Milwaukee, apply for the job here. Crowds.io, a crowdsourcing startup based in Milwaukee that helps entrepreneurs launch new products was recently profiled by the Journal Sentinel, read more here. The Wells Building once a hub for telegrams is now becoming a cloud computing hub learn more about this initiative here. Four startups recently won Marquette University's ImpactNext Business Model Competition, read all about them here. Milwaukee-based Scanlytics' SoleSensor technology is being test-driven by a top five telecom firm, according to a recent press release. To get the latest startup community news & events follow @StartupMKE on twitter! On June 12th Wisconsin's Lieutenant Governor Rebecca Kleefisch visited 96square to celebrate the launch of Wisconsin's new equity crowdfunding law. The event featured MobCraft Beer from Madison the first company to use the equity crowdfunding laws to raise capital for their company and CraftFund a company based at 96square that is the first equity crowdfunding platform in the state. For more pictures from the event, click here. 2) Make a Powerpoint. Here's my example (I recorded it). 3) Go talk to 25 potential customers and show them your presentation. a) Try to sell it to them. b) Get feedback on your idea. 4) Repeat step 3 until you have five people willing to pay for it (not a friend or family member). 5) Go to CoderNights and tell anyone willing to listen to you about your traction. About the Author Steve Anderson is an entrepreneur who lives in Milwaukee, Wisconsin. Steve is a co-founder of Snapifeye. He has a masters degree from the Wisconsin School of Business and is a previous Startup Weekend winner. Does Your Business Have Innovation? A new restaurant can be innovative in it is marketing or styling’s. A cheese company might age their cheese a bit differently than its competitors. It might do things in a distinctive way that is innovative. However, compared to Facebook it seems these businesses are a bit less innovative. Restaurants and cheese have been part of the human fabric for hundreds of years and Facebook has been around about ten. In general there are two kids of innovation, disruptive innovation and incremental innovation. Incremental innovation is the improvement of an existing system. It is an innovative way to make something that exists better. Disruptive innovation is a new system that completely replaces an old one. Stay tuned for to find out more about the differences between incremental innovations and disruptive innovation in a future blog post. You can protect the value of your privately held company by working with your lawyer to make strategic business and legal decisions and by ensuring that your legal documents are consistent in implementing those decisions. Many privately held companies face similar legal issues and all can benefit from developing a legal plan to help protect company assets, both tangible and intangible. Use the following information as a roadmap when considering your company’s legal issues and driving your company’s business plan. Your company’s legal structure provides the framework for conducting your business operations. It is critically important that you take into account your long-range business, legal and tax planning goals when developing your company’s legal structure. Each alternative offers advantages, which you should consider in light of your long-term business strategy. In certain circumstances, a mature company may change its company structure in order to take advantage of benefits provided by the new structure. You and your executive team can protect your company’s intangible assets through a combination of legal contracts and protective filings. You may choose to protect intellectual property through patent, trademark and copyright filings. You will often need to protect your company’s intellectual property through protective contract provisions in license agreements and other customer or vendor agreements. Contracts with your employees also provide important safeguards, including non-competition agreements, confidentiality provisions and assignment of invention agreements, to assist in preserving company value. Growth oriented companies often look to private equity groups for additional investment. Legal documentation defines the investors’ rights and shields the company from exposure. You may need to amend your company’s operating agreement or corporate by-laws to define the new investors’ economic rights. The operating agreement or shareholder agreement may provide contract rights that limit transfers of any new stock or securities that are issued in connection with the investment. Your company may need to issue a private placement memorandum and subscription agreement in order to comply with applicable securities laws and regulations and to protect your company from potential securities related claims. Several common investment structures for a private invest- ment include preferred stock or units, common stock or units, participating preferred stock or units, convertible promissory notes and warrants (options to acquire stock or units in the future for a defined exercise price). Common issues that arise in the course of investor negotiations include investor rights in company governance (e.g., board seat, veto rights over certain defined actions and voting rights), future equity dilution if new investors or key employees are issued equity, future adjustments to investor equity based on post investment performance, and staged investment structures (i.e., the investors contribute additional post-closing funds as goals are achieved). You can use an employee incentive equity or compensation plan as a tool to protect the value that key employees provide to your business. Equity plans can include sales or grants of stock or units, options to acquire equity in the future and specially tailored cash bonus plans. Some cash bonus plans may provide special payouts on the successful sale of a company, which provides management a powerful incentive to remain with a company through the completion of a transaction. Vesting provisions help protect a company from risk that it will have to make a payment if the employee chooses to follow another opportunity or does not satisfy performance goals. One frequently used tool to incentivize a key employee is a profits interest. A profits interest is normally attractive to an employee because, if structured properly, the employee is not taxed at the time of grant and future payments on exit can qualify for capital gain treatment if the company is sold at a profit. Meanwhile, if a company does not increase in value or produce operating profits after the grant, its preexisting owners will not experience economic dilution. Executives and owners should periodically review your company’s operating agreement, By-Laws and any applicable shareholder agreements to ensure that your company’s and its stakeholders’ interests are properly governed in light of current events, business strategies and legal developments. Operating and shareholder agreements often provide rules that limit or prohibit shareholders from transferring equity to certain parties, provide options or requirements that a company purchase equity from the owners in certain circumstances, such as termination of employment, death, disability, or bankruptcy, and require a company to make cash distributions to shareholders or partners if a company is a tax flow-through entity. Defending and/or settling disputes with third parties in a cost efficient manner, potentially including former employees or governmental regulatory agencies, directly protects your company’s cash resources as well as its (and your) reputation. Creating an employee handbook with appropriate legal provisions can reduce the probability and impact of litigation with former employees. Companies that are poised for growth often accelerate their growth process through acquisitions of smaller companies that will add a critical market segment, technology or other component to the business. Legal due diligence and review of the target company’s contracts and legal rights (including the strength of intellectual property protection) helps the acquirer measure the value of the target’s business. Legal negotiation and documents play a key role in accomplishing the acquisition, including preparing and negotiating a letter of intent, drafting and negotiating the purchase contract and designing contracts with key employees of the target company. A privately-held company’s likely exit strategy should influence all of its le- gal decisions. Common exits include a sale to a strategic or financial buyer, management buyout, partial sale through a company recapitalization trans action, transfer to a family member or members, initial public offering and sale to an ESOP (employee stock ownership plan). Your privately-held company’s executive team can use strategic legal planning to maximize and protect the value of your company’s tangible and intangible assets and to support your company’s overall business strategy. About the author: Daniel P. Cooper is a shareholder in Reinhart Boerner Van Deuren s.c.’s Business Law Practice. He can be reached at 414-298-8134 or dcooper@reinhartlaw.com. Startup Milwaukee is excited to launch the Founders’ Club, an exclusive group of technology entrepreneurs, executives, angel and institutional investors. Anyone can apply to join the Founders’ Club, but only a limited number of individuals will be admitted. Members must meet one of three criteria: 1) Technology Entrepreneur: You must be able to show us your working product. Whether it be hardware, software, web or a mobile app, we must be able to verify it exists. 2) Technology Executive: You’re a founder, VP or C-level executive at a technology company in Wisconsin or northern Illinois. 3) Institutional or Angel Investor: You must have a track record or interest in investing in technology companies in Wisconsin. To join the Startup Milwaukee Founders’ Club, apply today. Have you ever suffered from a sports-related injury such as an ACL tear or ankle sprain? Do you know someone who recently had joint surgery? Or perhaps you have a family member who uses a wheelchair or walker. Whether age, disability, illness, inactivity, injury or surgery keeps you off your feet, it’s important to engage in physical therapy before muscle weakness, balance impairment and reduced flexibility take hold. VibeTech founder and CTO, Jeff Leismer, PhD, invented the foundation vibration technology of the VibeTech One (TM) Rehabilitation Chair as a countermeasure to disuse atrophy in astronauts whose strength had been compromised due to the negative effect of long duration space flight. 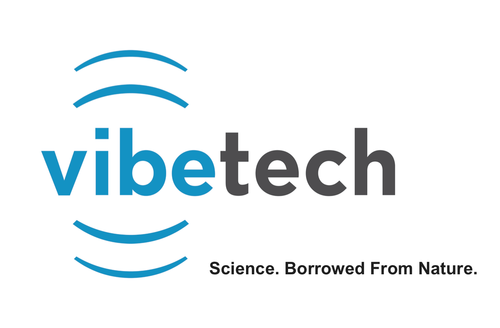 In collaboration with VP of Product Development, Nadder Sahar, PhD, VibeTech has developed a quick, relaxing, non-weight bearing neuromusculoskeletal stimulation device for the treatment of patients in physical therapy clinics, rehabilitation centers and elder care facilities. Learn more at www.vibetechglobal.com.